Quote of the Month: Evaluation tells you how valuable something is. 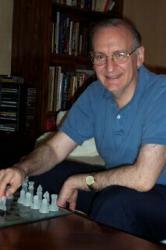 I have devoted many Novice Nooks to the suggestion that the main chess skill is analysis. I have also stated the companion thought process skill to analysis, and thus "second in command," is evaluation. My definition for evaluation of a position is determining which side stands better, how much better, and why?